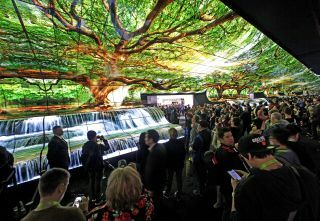 Immersive installation welcomes visitors to LG’s Booth with 260 LG OLED digital signage screens. “To continue to evolve and grow, the tech industry needs more equal access to venture funding,” said CTA president and CEO Gary Shapiro. Priced at $149.00 per unit, the Safe Zone Gunfire Detector automatically detects, analyzes, and reports gunfire to local authorities within 10 seconds. Women in Consumer Technology (WiCT) has opened it 2019 Legacy Award nominations. IBM chairman, president and CEO to discuss technology built on a foundation of trust at CES 2019.